It has rained a great deal and we got 100mm in a few days. This caused the river to swell nicely and the northern section of the reserve was closed off for a bit. As soon as the levels were just passable we crossed the causeway to head north which raised a few pulses on the game viewer. We were however rewarded with the Hukumuri female, one Selati male and a group of buffalo all in the same sighting. We really got some great interaction here, watching the dynamic between the different animals. Firstly the lion was on his own and so his interest in the buffalo was superficial, as he quietly observed looking for any possible opportunity to exploit he preferred to keep himself hidden from the group. The group of buffalo then started reacting to something. Immediately we noticed that there attention wasn’t aimed at the lion. The buffalo had stood up and were looking in an easterly direction, ears pointed forward, and there whole bodies were focused on this new threat. We noticed the female leopard as she stood up on a rock next to a tree, which she knew was her best defence against the buffalo. She stood with her tail erect and made her easy to see, like she was teasing the buffalo. I’m quite sure the leopard was unaware of the lion through all of this. The buffalo decided it was time to move on and slowly drifted away while the leopard started walking and marking territory by spraying urine on leaves along her path. She then climbed a fallen over marula tree, the male lion was walking in the direction and as soon as the leopard saw him, she bounded out of the area and out of sight. This sighting portrayed the subtle and overt dynamics of superiority and dominance with these apex predators and buffalo. Xhikavi: It is unconfirmed yet and we are still holding out for a miracle, but we think that the other cub is dead. Xhikavi has been in the area calling for her cub for about two weeks and recently she has been seen mating with Dewane. Leopards have a high mortality rate in the infant stage, hopefully Xhikavi has another litter as we are hoping she will get it right eventually and there can be other leopards as beautiful as her. Interestingly about cats is that when they lose their cubs, they come back into cycle within a few months. So if she has lost her last cub we can expect her to start mating properly in the next few months, something I’m quite interested in is whether she repeats her behaviour with regards to birth and storing of th e cubs, like will she use the same den sites or choose new ones? When we get to spend so much time with these cats it makes us curious as to what is intelligence or instinct? 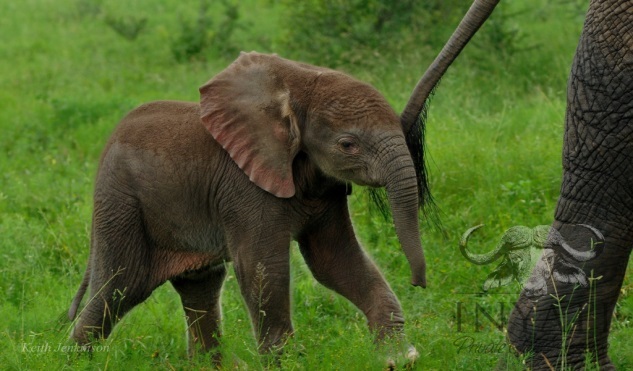 On a more exciting note, Hlabankunzi’s cub and metsi’s cub are now old enough to warrant their own names. Coming of age is a big deal, the opportunity to go out into the world and stand on your own two feet. 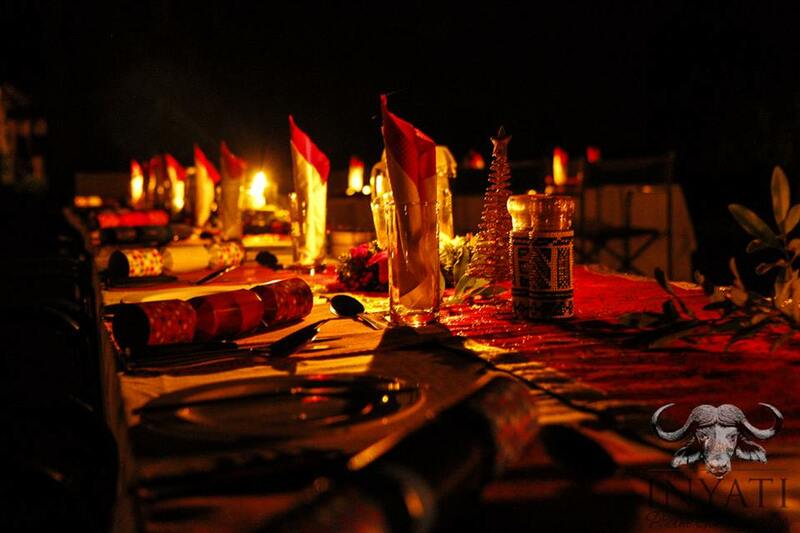 With us you might get a car, or have a celebration or get jewellery from your parents. With leopards the females get given a portion of their mother’s territory and a name. Sometimes the two are synonymous, Hlabankunzi’s cub is now known as the Scotia female named after where she has been around the last month or so and Metsi’s cub is called Boulder’s female for the self-same reason. 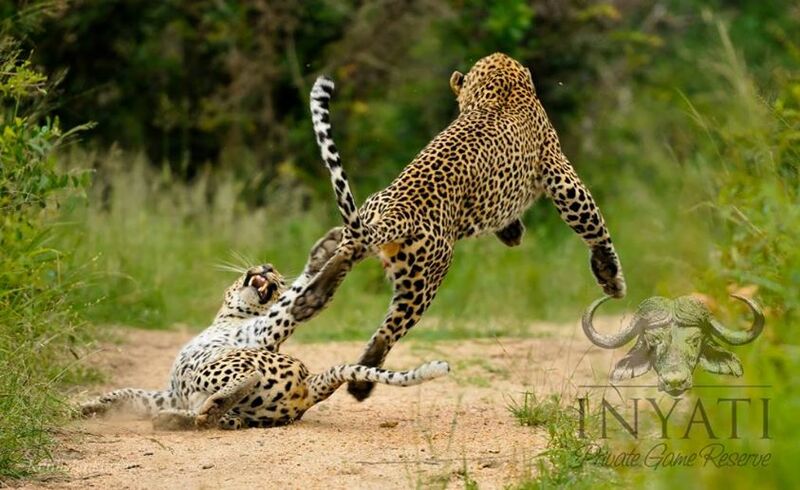 Male leopards tend to be chased far away by the territorial males of an area. We wish these two all the best for the future and can’t wait to be a part of their exciting adventure. 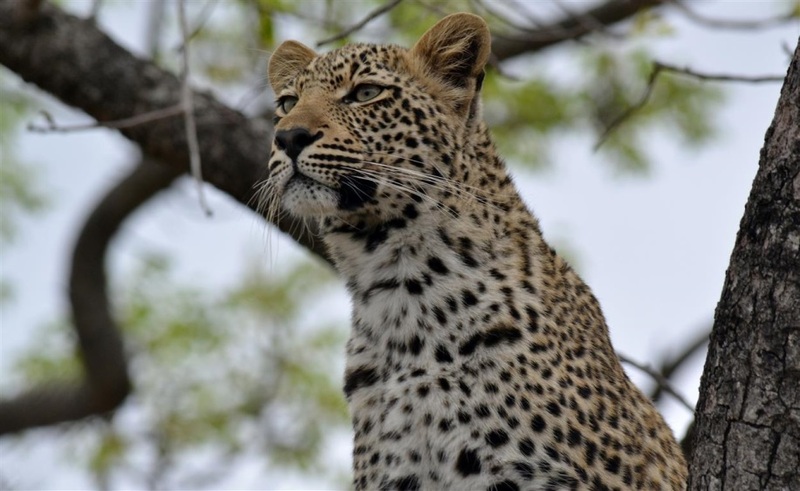 Interestingly about leopards and their territories is that both males and females have territories, with females territories being smaller than the males and one male territory overlaps and encompasses several territories. The territories are not set and often move and drift based on competition amongst the different members and are always subject to change. 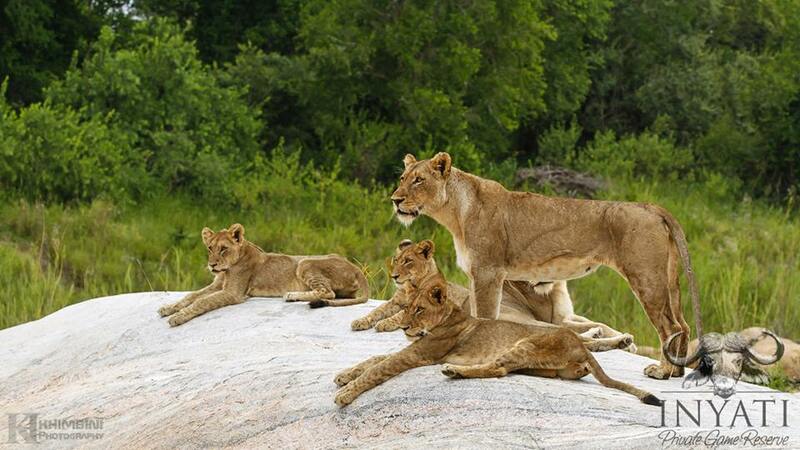 Xhimungwe’s: We had a scare with three of the cubs from this pride as two males from the south had chased them into the north and for quite a few days they were missing. Thankfully one pleasant morning we came around the corner and saw them with the rest of the pride and had eaten with their mother’s during the evening and so they were looking happy with themselves. Othawa’s: They have been absent for most of the month in the Othawa concession, but we have been getting regular updates on them, also they are currently back on the property and seem to be well. 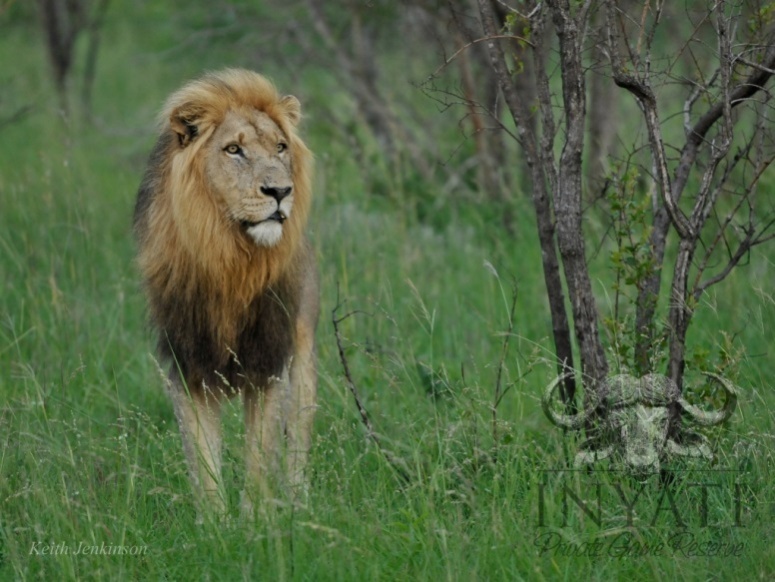 Selati’s: These males have been here, there and everywhere the last few weeks and have been roaring up a storm. The presence of intruding males on their territory has got them going bit. At the moment they are fat and contented after a buffalo feast that they picked off from the big herd that has been on our property from time to time. These males are doing well and have lots of cubs, their main function at the moment is to keep all competing males out of the area. 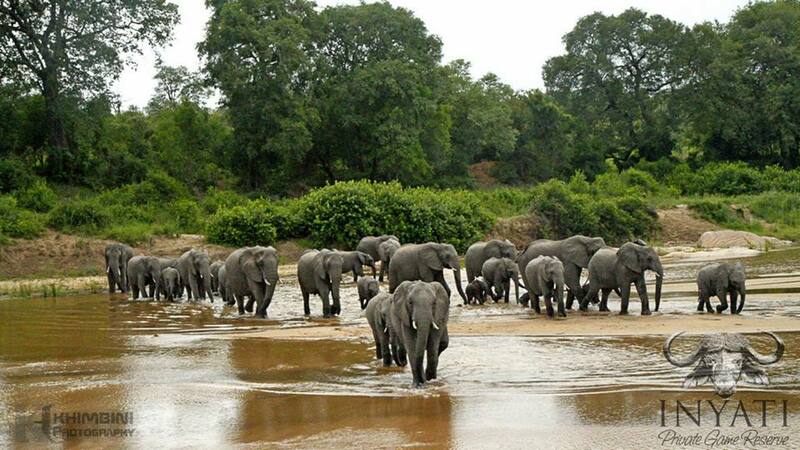 They are regularly patrolling and scent marking in order to maintain dominance in the area. 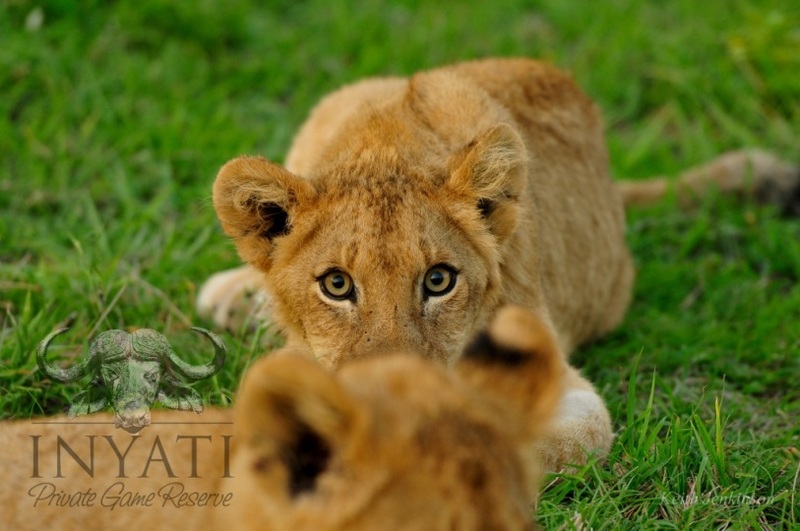 While the cubs from the two prides are close to a year old, they are still vulnerable and if the males lose their territory then we can expect the new lions to kill these cubs in order to bring the females into cycle and so they can start breeding. Male lions have quite a short life cycle of about 10 years and so they can’t afford to wait for the old cubs to reach maturity. Cheetahs and Wild Dogs: we have seen our pack a few times, with them taking advantage of the young impala’s which make for an easy meal; the 6 pups are really doing well and are growing at a rapid rate. The fact that they started moving with the pack the moment the lambs started appearing is no coincidence and it has given them the best advantage to make it to adulthood. Also there is a young male cheetah that has been about on the property and it has made itself a firm favourite amongst guides because of his relaxed nature around the vehicles and his tendency to always be busy at something. In general there have been plenty of elephants although that is what we have come to suspect of Sabi Sand, there has been a high percentage of bulls in musth which makes for exciting game viewing. There have been a really high number of giraffe and zebra which is also nice and plenty of general antelope like impala’s and waterbuck. The beautiful carmine bee-eaters are back which has put a lot of colour into the air. Also every pan and every wallow is filled with the chorus of mating frogs which sometimes can be deafening; the bush can be quite a noisy place and it can be difficult to let the guests know just what is making all the racket in the first place.